Home of the mummy Otzi, a wonderful market, and lots of bikes. Gelato was everywhere. And Bolzano was one of the best places for it, as it claims to be the warmest, sunniest city in Italy. 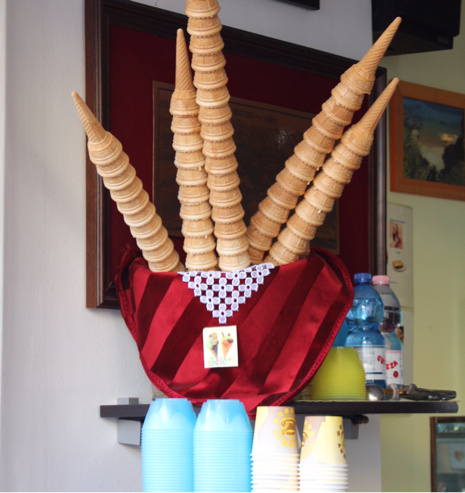 I think there was some kind of national competition for the "best" gelato. The lines outside were an indicator, either of the best gelato or the resilience of tourists to stand in yet one more line and shuffle forward. My "best" gelato was at a small shop with no line, where the owner told me that my order for bacio gelato (I thought it was some kind of chocolate) meant a "kiss." And when I asked for due scoops of the same, he refused, and insisted that my second scoop be a different flavor, which turned out to be delicious. Bacio, I have since learned, can mean either a kiss of life or a kiss of death. Either way, it is well named. I swear I didn't take a photo of Otzi at the museum! No photos, no flash allowed. So I cheated and downloaded a picture from the web. 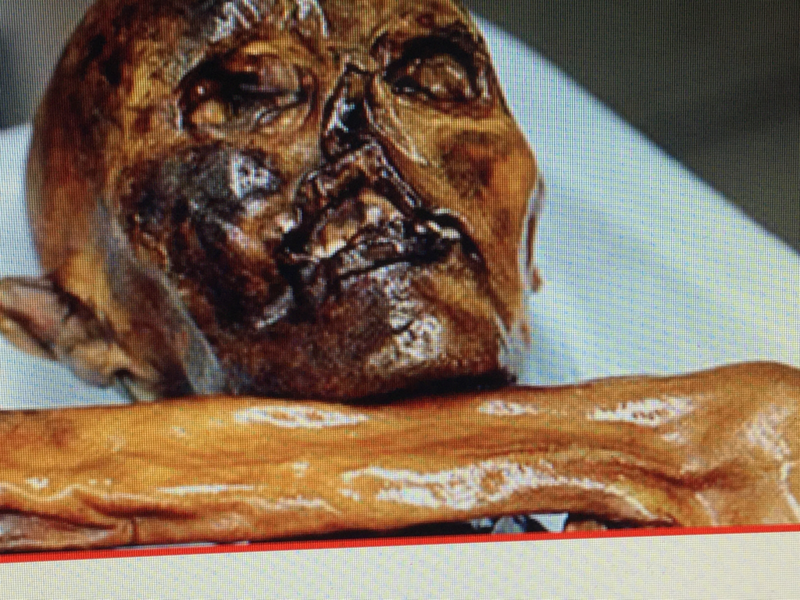 Much like the bones of St Francis and the recovery of St Mark's relics, so too the frozen Otzi, 5300 year old Otzi, lies within a plexiglass sarcophagus gently misted, awaiting the next forensic science breakthrough, and amazing us all with his mystery and his loneliness. If we wait and watch, it feels like he'll sit up and answer all our questions.